It's about time that the Aquatic family got a force swap on a pet that could make good use of it. 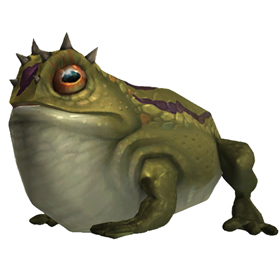 While Tonguelasher has a low health pool, it can use its high speed to quickly swap the lowest health pet in with AoE then shred them with Tongue Lash. However, Krag'wa's Wrath is buggy. If the active enemy pet avoids the damage with Dive, the swap will still trigger if the AoE hits the backline. Not only will Dive hit when the pet comes back in but the pet will stay submerged/unattackable. This pet was in my bags after completing the Jorundall Island Expedition on Normal.